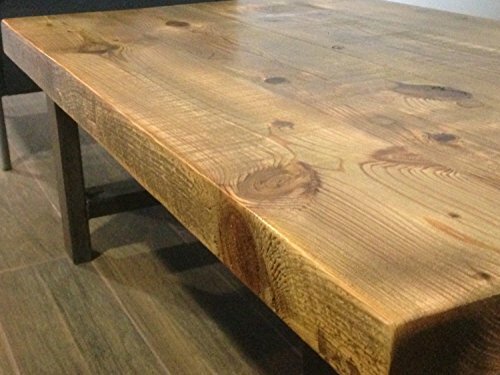 This coffee table is made of reclaimed barn wood that's aged over 150 years. It's hand made by our artisan craftsman here in our Chicagoland shop. The table top is supported by an H-shaped base. Please Note: This table does not ship assembled, all hardware will be included. The base will be detached. We pre-drill holes for the screws to make assembly simple, All you need a screwdriver, and 10 minutes.